Of course, there were those 16 nerve-wracking days in October when most of CDC’s experts weren’t here because of the government shut-down. The uncertainty of that time makes me appreciate CDC’s achievements in 2013 even more. Our work with partner organizations and individuals in the government and private sector – doctors, nurses, pharmacists, and laboratory experts – in this country and around the world made this progress possible. And our progress this past year enables even more progress in 2014. 1) The first year of our Tips from Former Smokers campaign led more than 100,000 smokers to quit for good. 2) We were able to use the tools of Advanced Molecular Detection to understand and stop an outbreak of listeria infections. We need more to keep you safe. 3) Our National Healthcare Safety Network helped more than 12,000 health care facilities track their progress reducing healthcare-associated infections, preventing illness and saving lives and money. 4) We reached a dramatic milestone, the prevention of HIV infection in one million babies globally over the past 10 years through the PEPFAR program. 5) We developed new resources that will help health care professionals, communities, and individuals prevent one million heart attacks and strokes by 2017. We are proud of this progress, but there’s much more to do. Here are five actions I will be tracking closely in 2014. 1) Increase uptake of the HPV vaccine, which is an anti-cancer vaccine. We will support doctors to talk to parents about the importance of HPV vaccine so it’s given at every opportunity. For every year we delay, another 4,400 women will develop cervical cancer in the future. 2) Preserve our antibiotics so we, our children, and our grandchildren can benefit from this life-saving resource. Ensuring that antibiotics remain effective won’t be easy, but although antibiotic resistance is increasing for many microbes, there’s still time to slow, stop, or reverse its spread. 3) Reduce deaths from overdose. Prescription opioid deaths have increased five-fold since 1999. We can reduce the risk of overdose while we make sure that patients have access to safe and effective pain treatment. 4) Eradicate polio. The last mile is always the hardest, but the finish line is in sight, and eradicating polio will be the ultimate in sustainability and equity – it will be forever and for every child. 5) Increase our safety from global threats. We are all connected by air, water, food, and trade; we can help the US and the world become safer. We’re working with global partners to help more effectively prevent, detect, and respond to infectious disease threats. 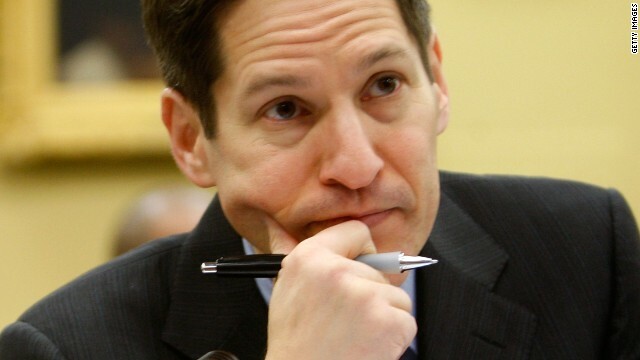 CDC is America’s health protection agency. Along with our partners, we’ve got boots on the ground finding, stopping, and preventing disease – in the nation and in every state. Yet in the past four years, CDC’s budget authority has been cut close to than $1 billion, hurting our ability to guard the nation against health threats, both old and new. Last fiscal year, our budget was cut by nearly $600 million. These cuts make it harder for us to protect Americans from health threats such as emerging and resistant microbes, natural disasters, and bioterrorism. Still, whatever the budgetary challenges, our goal is to protect and improve the health of individuals, families, our communities, our country and people across the globe. It’s a passion that makes us feel fortunate to do the work we do. NOTA DE PRENSA PARA NTN24 – TVE – GLOBOVISION. ASESINATOS DE CILIA FLORES, NICOLÁS MADURO, MANIPULACIÓN DE MUJERES PARA VIOLACIONES CON TECNOLOGÍAS, MIREN EL CASO DE FABIOLA LEON, QUIEN ES VÍCTIMA DE MANIPULACIÓN MENTAL. DENUNCIAMOS A LOS CRIMINALES PADRE VIOLADORES TERRORISTAS YLOS HIJOS COMO MÉTODO DE COMPROBACION DE OBAMA, BILL CLINTON, BUSH, MANUEL SANTOS, URIBE, CRISTINA KIRSHNER, RUSEF, NICOLAS MADURO, POLÍTICOS ESPAÑOLES QUE SEGÚN CUENTA LA VÍCTIMAS SON LOS CRIMINALES DIRECTOS. PAGADA POR POLÍTICOS ESPAÑOLES, ITALIANOS, INGLESES, RUSOS, FRANCESES, CANADIENSES. TODO POR EVITAR QUE CUENTE LO QUE PASO DURANTE LA MANIPULACIÓN MENTAL DE LA QUE ES OBJETO. NICOLÁS MADURO REGALANDO PETRÓLEO AL MINISTRO CHINO REUNIONES CON POLÍTICOS LATINO AMERICANOS, ADEMÁS LES VENDE VENEZOLANOS PARA ESTUDIOS DE LA RAZA HUMANA. LA PREGUNTA ES CON QUIENES SE HA REUNIDO ÚLTIMAMENTE PARA CUADRAR LA REGALADERA DE RECURSOS. CASUALMENTE ALGUNAS VÍCTIMAS SE QUEJAN DE EL CRIMINAL SERIAL HARPER QUE HA TENIDO VARIOS JUICIOS Y QUE LA HAYA Y LA ONU HAN TRATADO DE OCULTAR POR LA VENTA DE 100.000 QUE IRRADIARON, CAUTERIZARON Y DISOLVIERON TIPO LOS ATAÚDES DE BUSH Y BILLINGER. OIGAN MEDIOS CON ESTAS PRUEBAS PODEMOS SACAR A LOS SATÉLITES CHINOS DE VENEZUELA. I don't get how he's allowed to get his nonsense through ! I gotta try copying it and see if I can do it too. Bingo! Automated moderator will not permit "hono sapiens" spelled properly with an "m". We have a word filter here, in that certain letter combos won't post. The worst one, IMHO, is the inability to post the word Constitution without some HTML help. As annoying as this guy, RZ. Hi my family member! I want to say that this article is awesome, great written and come with almost all important infos. I'd like to peer more posts like this . Do you mind if I quote a few of your articles as long as I provide credit and sources back to your webpage? My website is in the exact same area of interest as yours and my visitors would genuinely benefit from a lot of the information you provide here. Please let me know if this alright with you. Regards! Kick in the teeth for Kelechi Iheanacho as Nolito was preferred up front with Kevin De Bruyne behind him in a 4-4-1-1. "If Vardy was a foreign player, you the English press would say he is a cheat."